"This a very rich cake, but mmmmmmmm so good. Best eaten with milk or coffee. You can also make it a Chocolate Gooey Butter Cake if desired. Just use a chocolate cake mix in place of the yellow." Preheat oven to 350 degrees F (175 degrees C). Butter one 9x13 inch cake pan. Melt the butter slightly. Mix it with 2 of the eggs and cake mix. Pour batter into prepared pan. Mix the remaining 2 eggs with the cream cheese, and the confectioner's sugar. Pour this mixture evenly over the first mixture. Do not stir. It’s all in the name, no need to say more! A word of warning--the time on this recipe is WRONG. I really should have known better. You definitely want to check it at 30 minutes. 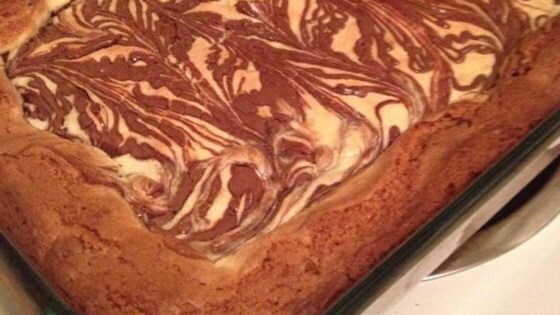 This is a great cake, I double the cream cheese and put it in a larger pan so the crust is thinner. Very tasty. Absolutely to die for!!! Rich, sinful - Yummmmmmy! Perfect with a cup of coffee!